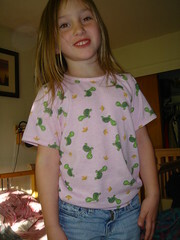 I made Michelle some pants with this fabric a while back, and I eked a tshirt out of the scraps when Kaia begged for it. She wore it to preschool today and didn't get paint on it, a first for her. 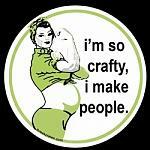 Usually everything I make gets stained the very next day.